M/Sgt. Clarence Edwin Boldt, son of Mr. and Mrs. A. H. Boldt, Graham, attended Dallas High. 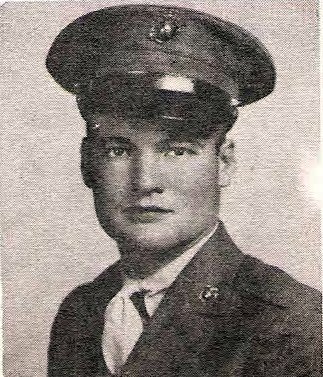 Entered Marines, 1941, trained in Cal. Served in N. Carolina, Fiji, Solomons, N. Guinea, Wake, Phil. and Tinsin, China. Awarded Pres. Cit., Navy Uni Cit., Pre-Pearl Harbor, APO, 4 Battle Stars, GCM, PL and Victory Medalls. Discharged in 1945.